Anyone who knows me will tell you how much I love mascaras. I have pretty long lashes but I love to make them thicker and add volume so i'm always trying different ones to find my 'holy grail' mascara. When I saw Avon were bringing out a new revolution mascara I knew it had to be mine. This was £10 but I got a tonne of freebies with it too (you can see my video of it here). Avon's Mega Effect Mascara comes in a 9ml, red and black bullet. I like the packaging, I think it makes the mascara look different and it also stands out in your makeup bag. You do get instructions of how to use this in the box as it does look quite confusing. This is in the shade 'blackest black' and it's perfect for making your lashes stand out. Once you've taken the lid off, you simply wiggle the wand and the brush appears. The best thing about this applicator is the wand can bend, making it easier to coat all your lashes. The wand can bend both upwards and downwards to ensure all your lashes are covered. I think this is a really amazing idea for a mascara and it really helps with the application. The brush is quite wide which is again perfect for reaching all the lashes, even the ones right in the inner corner. The wand does carry a lot of product which sometimes can transfer to the face after application but it's easy to remove with a cotton bud. Speaking of removal, I have no problems removing this with my normal Simple cleanser and it comes off really easily. This claims to be 'flake proof and sweat proof' even though it isn't waterproof and I totally agree. Once this has dried it doesn't flake off or smudge which I find occurs with a lot of mascaras. This gives a really volumizing effect which is the number one factor I look for in a mascara. It also coats the lashes but doesn't clump them. It does also add length to the lashes as you can see in the picture above. 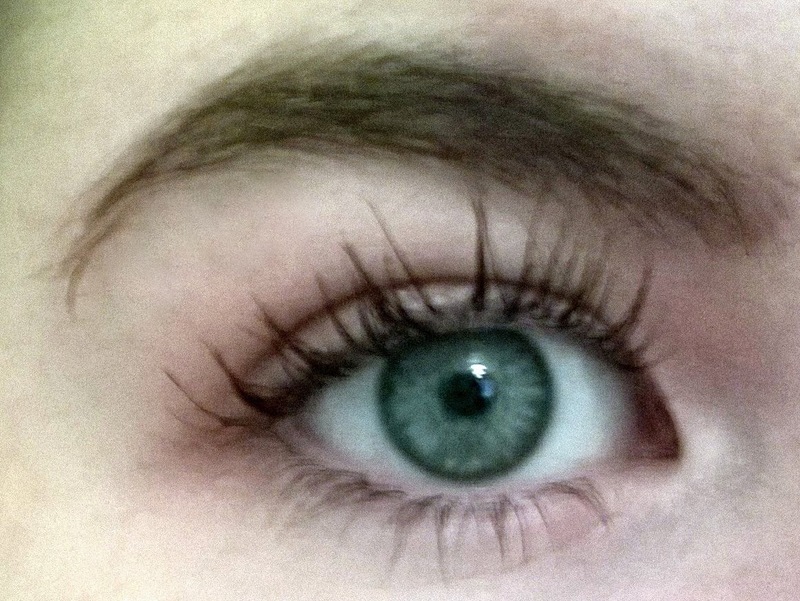 All in all I would definitely purchase this mascara again, I'm loving it! It's definitely made it's way in to my top 5 mascaras, maybe even my top 3. This gives the perfect amount of volume, thickness and length for anybodies lashes.